Eryca Freemantle established EATOW in Partnership with the Founder of Beauty in Dubai & The Pamper Sessions – Beauty, Fashion and Wellness Show; Crystal Emmanuel and Professional Accountancy and Tax Advisor; Ria Lincoln of Ria-Jaine Accounts. These three powerful business women come together with a plethora of skills, talent and expertise to provide a phenomenal platform of opportunity for EATOW’s annual global members. Members of EATOW are to be spoilt for choice with benefits ranging from bi-monthly business networking events and webinars to exclusively hand-picked global business opportunities and an array of online accredited courses and certificates. Perk also include free business advice and downloads, self-hep guidance and mentoring programmes. The beauty members platform has already secured support from Natwest and official sponsors include Olympia Beauty and GovtGrant among other well known business and beauty industry brands and supporters. The sheer presence and emergence of EATOW is set to open up, challenge and shake up past standards set within the industry and workplace when it comes to diversity. The platform will bring its honorary members; consisting of esteemed women and men of all tones and backgrounds, to the very forefront of the beauty sector as perfect examples of future champions of an industry rapidly evolving to cater to all! Eryca Freemantle grew up in London in the 1960’s a young black female of Jamaican heritage with challenging learning difficulties and a young life entangled with the painful thorns of bullying and sexual abuse. Freemantle suffered from a broken leg, facial scarring and the tragic loss of her hair as the result of a car accident and later incurred spinal injuries; said to be the physical manifestation of emotional trauma, initiated years before the crash. Not to be held back by this reality, Eryca has since achieved an applaudable amount of global success within the beauty industry, including being a make-up artist to the stars in her early career, working across the globe in the UK, USA, Africa, Europe and the United Arab Emirates as a speaker on the importance of diversity in beauty, alongside being featured in Forbes Magazine, and becoming a proud Business Mentor at The Princes Trust. Eryca won a ‘Be Mogul Award’ in 2018 and had the very special honour of being invited to meet Prince Charles and Camilla in person at Clarence House in 2018. She was formally on the advisory panel at London College of Fashion. One of Eryca’s many missions is to “help as many women as possible to grow comfortable in their own skin and to be true to themselves”. 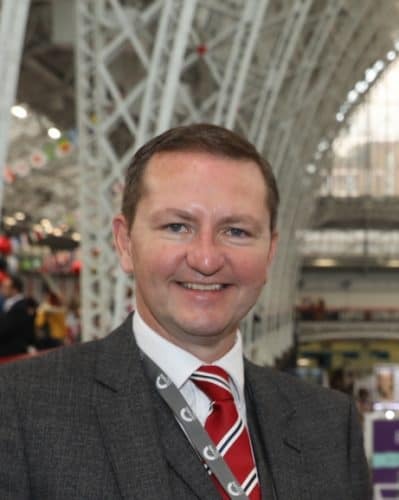 E.AT.O.W will kick start with their first event of the year ‘The Industry Talks’ on Tuesday 19th March 2019 featuring Managing Director of Olympia Beauty, Ian Archbold as a special guest panellist.